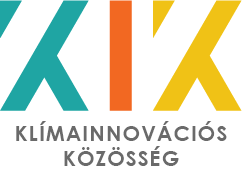 PANNON Pro Innovations is the lead partner of Climate-KIC in the Central Hungary region. It is a private firm providing innovation management services through a unique pool of experts and subcontractors. PPIS brings together decades of professional experience in planning and implementing small- and large-scale innovation projects related to sustainability, climate change, energy, industrial symbiosis and developing the bioeconomy. Acting as the Hungarian regional coordinator for Climate-KIC, the EU's largest public-private partnership on climate innovation, PANNON Pro also offers a gateway to dedicated funds and cutting-edge know-how through the leading thematic European network of academic, industrial, policy and research partners.